This year, on May 14-15, the community of St. Nicholas in Troy, MI, celebrated its 75th Anniversary. The guest of honor was His Eminence Archbishop Demetrios of America who, together with the host hierarch, His Eminence Metropolitan Nicholas, attended the Saturday evening Anniversary Reception and then the Hierarchical Divine Liturgy on Sunday followed by a Breakfast reception. 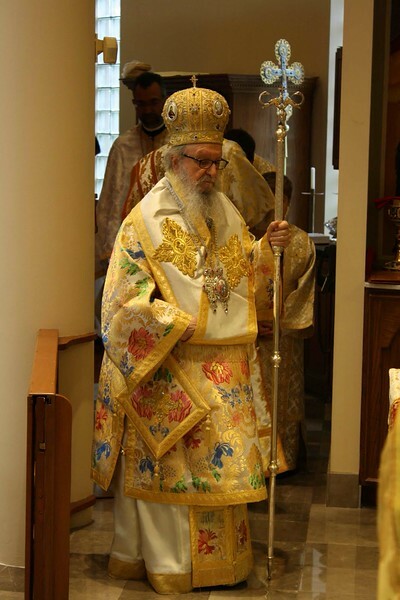 Also, a Memorial Service was held during the service on Sunday morning for the newly departed Metropolitan Epiphanios.